Were you browsing through any Facebook group or some photography forum and just stumbled upon the phrase ‘Back Button Focusing’…..and now wondering what on earth is it? Don’t sweat it so much it is just another way to focus your camera. In simple terms, back button focusing is a way to reassign the autofocusing control from the default half-pressed shutter button to another button at the back of the camera and use it to control focus instead. In other words, after you have configured the camera to use the back button method, you will no longer half-press the shutter button to focus on your subject but instead use another button at the back of your camera for focusing. The sole purpose of the shutter button would be to control the shutter. Nothing would happen anymore when you press the shutter button halfway. Still confused? Many questions popping up in your head….first of which is why the hell would I want to do that and complicate my setup? Patience is a virtue, my friend. Hold on for just a minute and I will answer all your questions and more. Question: Why on earth would I want to use any other focusing method when the current method is so very simple….press a little to focus and then further to take an image? Because back button focus allows precision, flexibility and does is extremely smoothly, something the half-pressed method simply lacks. Lete me elaborate on this so you would understand better the implications. Continuous Drive Mode Coupled With AF-C (Continuous Focus) Allows Us To Take Multiple Sharp Images In Quick Succession. The basic idea is pretty simple. When shooting a static object say a landscape or a building, select Single Shot as your drive mode and AF-S as your focusing mode. So, what happens when you press the shutter button halfway is, the camera focuses on the subject and locks it. Then on fully pressing the shutter, the camera takes an image (one image only) and stops. To take another photograph, you simply have to repeat the same procedure. 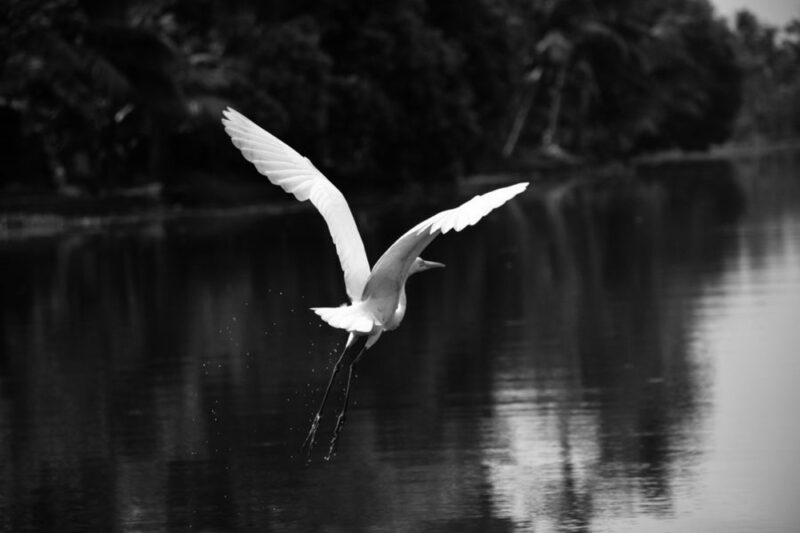 To take images of a moving or dynamic subject like a football player or a bird, you need to select Continuous Shot as the drive and AF-C as the focusing mode. Now, the camera does NOT lock focus at all. The entire time the shutter button is pressed halfway, the camera continuously adjusts the focus to keep the subject sharp. With Continuous Shot selected when you press the shutter button, the camera keeps on taking images as long as the shutter is depressed. This allows you to take many images in a short period of time, thereby allowing a chance to get one killer image. Have you noticed a fatal flaw in the above setup by the way?……NO? Let me point it out then. The entire premise of using the first or the second setup is dependent on the fact the photographer knows in advance how the subject is going to behave. In other words, the photographer knows if the subject is going to be moving or static. Just take a random example, a bird sitting on a branch. So you as the photographer choose the first setup and prepare for some static shots, but then suddenly the bird takes flight and starts to fly towards a lake. Now, you are sitting pretty with the focus locked in and Single Shot Mode. By the time you finish making the changes and switch to the Continuous Setup, the bird is gone…for good. The reverse can also be true. Say you are using the Continuous drive with AF-C at a wedding shoot. You are all ready, the bride and groom walk up, you camera tracks them beautifully and keeps them in focus. But just then calamity strikes, they suddenly stop walking. You are still on the continuous setup. They look at each other, take their vows and kiss. Your camera because it is on AF-C expecting some dynamic subject keeps on adjusting focus and just at the most important moment it loses focus and you lose the shot. Good luck explaining to the clients, why you missed their first kiss, the most important image of the whole freaking wedding. Knowing how your subject is going to act is almost impossible to know most of the time. Sure, it is absolutely predictable for a few genres of photography but that number is very small. I am a street photographer, ask me. Predictability is NEVER an option. Theoretically, there are two ways to do it. Either find a way to actually predict how the subject is going to behave in advance so that there is still time to switch setups OR reduce the switching setup time to zero. Back button focusing lets us do the second trick. The basic reconfiguration that we have to do is just reprogram the AutoFocus trigger button from the default shutter button to another button at the back of the camera. Now, this button is generally chosen so that it is near to where the photographer’s right thumb would be. In some really high-end professional bodies (read really expensive cameras), there is usually a dedicated button meant to be used for back button focus. 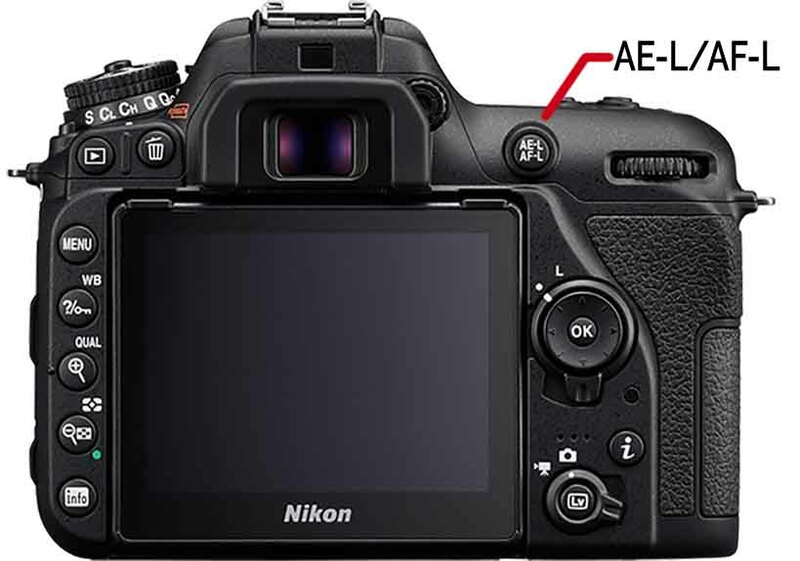 For mid-range cameras, however, we usually reassign the focusing functionality to the AE-L/AF-L button. I know you have nearly never used that one before and always wondered what it did. Well AE-L/AF-L stands for Auto Exposure and Auto Focus, the ‘L’ stands for lock. 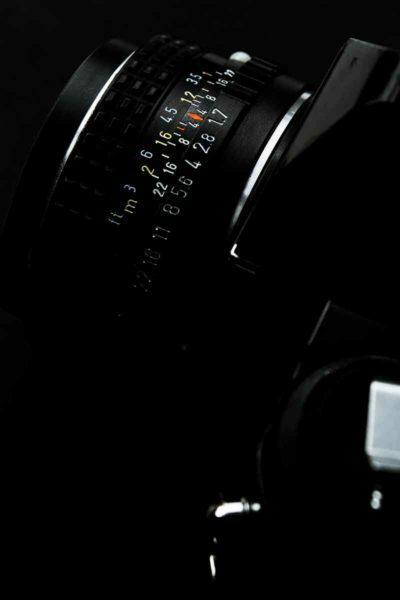 When the button is engaged, the camera stops the Auto Exposure and Auto Focusing functions of the camera. This means that the camera would lock in the focus and remember the last values it measured using the light meter and use only that to take the next image. It would NOT refocus or re-measure the light again, till the AE-L/AF-L button is pressed. Let me give you an example to drive home the idea. Say you are shooting a model, in a studio. You position yourself a little away from the model, frame the shot and ask her to pose. You get the focus and the camera meters the light to give you a proper exposure, all set. Now you take an image. For the very next image, you have to run through the same process….again. Focus again, meter light again and take a shot. This is rather time consuming and wasteful. The distance between you and the model has not changed, so you need not refocus, moreover the lighting is also the same so it makes no sense to meter the same light again. Here comes the AE-L/AF-L button to the rescue. If the situation is similar to one I just described, where the conditions remain the same and there is absolutely no need to refocus and re-meter light for every single shot, you can just press the AE-L/AF-L button and the camera would skip the above steps. Essentially the camera locks the values and stops the camera from readjusting them when the button is depressed. Handy right? But since you haven’t used it very often we are going to repurpose that button for back button focusing. It is going to be used a hell lot more now. Reprogramming the AutoFocusing functionality from the shutter button to the AE-L/AF-L button is pretty darn easy and straightforward. Here are a few videos which would walk right through it. If your camera menu seems to be a little different or if you have a camera from some other manufacturer such as Olympus or Panasonic, do a quick search on YouTube. Mention your camera make and model and I am sure you will find a video to guide you. Now, I sing praises for the back button focusing technique to sell you the idea. Even though I am bent on this, there are some serious reasons why I love it so much. Here I mention all of them and you can judge them for yourself. The only request I have is, use it for a week or so before you decide if this is for you or not. On paper, these points might not seem to add up to much but when actually shooting they do make a world of difference. The #1 reason why the back button focusing is so popular and used widely is because it provides so much flexibility which is simply unattainable through any other means. Remember how you had to set up your camera in advance depending on whether you were shooting static or dynamic subjects? What if I tell you, using back button focusing method now you don’t have to shuffle through the two setups at all? You could just use one and that would cover all possible situations (static and moving subjects) faster and better than the two separate methods. To use the back button focusing technique, we would always have to be on the Continuous Setup. So for the drive mode we use the Continuous Drive/Burst Mode and for focusing we use Continuous AutoFocus (AF-C/AI Servo). When we disconnect the focusing aspect from the shutter button and reprogram it to a dedicated, separate button we, in essence, give ourselves the capability to control the AutoFocusing three ways. Let me give you an example which will explain this. Say like before you are shooting a bird perched on a branch of a tree. So basically you have a stationary subject here. But you are on AF-C (continuous focus) and Continuous Shot. Since the AutoFocus is triggered only when you press the back button, you can use the first technique ‘press and release’ and essentially focus as if it were on AF-S, One Shot AutoFocus. So point your camera at the bird, get it on an AutoFocus point and then press the back button slightly. As soon as you acquire focus, release the button and your camera locks it in. Now, all you have to do is press the shutter button and your camera will automatically meter the available light and take an image. The best part is you do NOT have to refocus again until the bird stays put on the branch. Since the distance between the camera and the subject remains constant and you have already adjusted the focus for it once, you need not change it at all. So, here you can use the third property of back button focusing (BBF), ‘not press the button at all’ and just stop the camera from wasteful refocusing. This will save precious time, stop accidentally losing focus, allow you to take more shots and also save battery life. Had you not done it using BBF and used the half-pressed shutter method to focus here, you would have to keep the AE-L/AF-L button pressed throughout the ENTIRE duration. Good luck doing that when shooting for days at an end. The last ace up BBF’s sleeves is the ability to switch to Continuous AutoFocus in NO time….literally. You are already on the Continuous setup, remember? So, now if the bird takes flight and you want to track it, all you have to do is keep the back button depressed. As long as the button is ‘kept pressed’ the AutoFocus is engaged and the camera keeps on adjusting the focus to keep the bird sharp. Isn’t that nice! Saves Time: No not hundreds of hours but the few critical milliseconds you would otherwise have to use to fiddle with the settings, which makes all the difference. Makes Focus and Recompose A Breeze: Now that you can just stop focusing whenever you want all you have to do is acquire focus once and that’s it. Till you and your subject do not change positions, your focus stays locked in and you don’t have to worry anymore. No More Manual Focus Mode: Earlier while using the half shutter method, whenever there was a need to stop the camera from refocusing again, you always had to switch off the AF and get back to Manual Focus. In fact, even I have suggested the same way to lock focus for fireworks photography. Using BBF you will never have to do that ever again. Saves Battery: Running any motor requires energy. The same is true for the AutoFocus motor that helps focus your lenses. Cutting out the wasteful use of your camera’s precious battery by just focusing and refocusing continuously also saves you a ton of battery power. With BBF you only use the AF motor when you need it. Accuracy: Since you spend absolutely NO time fidgeting around with the settings and can seamlessly switch between AF-S and AF-C; you shoot with so much more precision, nailing the focus so much better. By freeing up your mind and reducing the steps you need to take to focus properly you may even have better and improved compositions. How is that for a side benefit? That is all I had to ramble about back button focusing. Even if you don’t think whatever I just said would push you to use this technique, I would urge you strongly to at least give it a try before dismissing it completely. It might just be one of the best things you ever learnt. Trust me a little one this. Having said that I would also say that BBF is not everyone’s cup of tea. Some people like it, some people just don’t. The only thing that I see as a drawback or a con to this entire process is that you have to use two fingers instead of one. Initially, it does feel a little over the top and clumsy but once your muscle memory picks it up, it would just be second nature. Do let me know how you feel after you give it a whirl. If you actually turn out to like it, do NOT forget to tell me. Would love to hear from you. This is now a teeny tiny blog trying to compete with the big guys. If you liked what you read, it would mean a lot to me if you could take a second to share it. Thank you.